Biscuit Custard Glazed 25 ML E-Juice from Wonutz: Dig in and enjoy a vape with a crispy biscuit based outer and a light fluffy creamy custard inner. The perfect combination of crunchiness and goodyness to satisfy any grumbling stomach. No more need to raid the cookie jar when the biscuit tin is so much better. Biscuit Custard Glazed 25 ML E-Juice from Wonutz is a 'Zero Nicotine' e-juice. It is a 70-30 (VG/PG) mix. 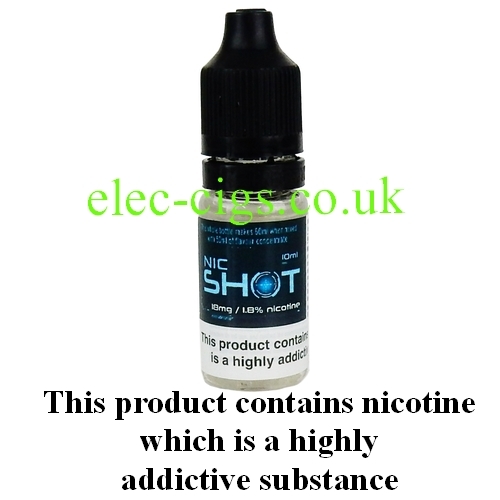 You can enjoy it purely for its taste or you can add half a bottle of the optional 10 ML nicotine shot which will give you a nicotine content of approximately 3 mg (0.3%) or add one optional 10 ML Nicotine Shot which will give it a nicotine content of approximately 6 mg (0.6%). Please note that the 'Nicotine Shot' illustrated may be substituted with one of the same strength and quality. The description of the flavour of this e-liquid is intended as a guide only, as it is a personal and subjective interpretation of the flavour.